The biggest and the first ever ICT Centenary Awards in commemoration of the revolutionary milestones in the ICT ecosystem in Nigeria has received the nod of Nigeria’s Minister of Communications Technology, Dr. (Mrs) Omobola Johnson and the Executive Vice Chairman of the Nigerian Communications Commission (NCC), Dr. Eugene Juwah who both described the ICT Centenary Award as a positive development in recognition of individuals and corporate entities that toiled to create the values that are currently being globally celebrated as landmark achievements in the ICT ecosystem in Nigeria. 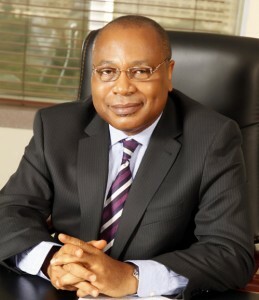 Other industry leaders that have openly embraced the event include the immediate past EVC of NCC and Chairman of OpenMedia Group, Dr. Ernest Ndukwe; the Director General of the National Information Technology Development Agency (NITDA), Mr. Peter Jack and the Director General, National Identity Management Commission (NIMC), Chris ‘E. Onyemenam. These industry leaders expressed their support for the programme when a delegation of the promoters of the event visited them at different times in Lagos and Abuja. While receiving a delegation of the ICT Media Initiative, a coalition of all ICT media practitioners (print, online and broadcasting), in Nigeria, the Minister told the team comprising of Messrs Aaron Ukodie (Chairman), Ken Ugbechie (co-chairman), Remmy Nweke (Secretary), Segun Oruame, Bayero Agabi, Olubayo Abiodun and Mrs. Ufuoma ‘Daro that celebrating the achievements in the ICT sector and the individuals who have distinguished themselves is worth the drive and she promised to lend the support of her ministry to the successful hosting of the event. Though the Minister emphasised that the ICT sector of the Nigeria economy was yet to attain its full potential and expressed the need for all stakeholders, both public and private sectors, to synergise in maximising the opportunities that the nation can derive from the sector, she nonetheless approve of the need to give rewards to deserving players in the ecosystem. 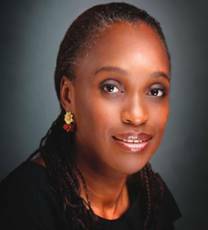 She particularly endorsed the plan by the Media Initiative to confer an Award on President Goodluck Jonathan. ‘Considering what the president has achieved in the ICT sector, he deserves an award’, Johnson said. While saying that so much has been achieved in the past decade worth celebrating, the Minister advised the organisers of the events to ensure a befitting ceremony worthy of emulation. Mrs. Johnson also pledged the Ministry’s intervention in the area of capacity building for media practitioners, while acknowledging that the Ministry was also faced with the enormous challenges of skills gap which she hopes to address with numerous hands-on capacity building workshops from where some media practitioners could be embedded. 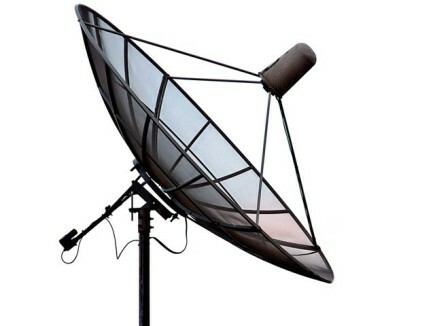 According to her, the Ministry of Communications Technology is faced with budgetary constraints which will not make it affordable to organise dedicated workshops for media practitioners. Speaking in similar fashion while welcoming the group to his office in Abuja, Dr. Juwah commended the ICT Media Initiative, a non-governmental organisation, for deeming it worthy to articulate the bold steps that the leadership of the NCC had taken in the last few years to sustain the growth pattern in the ICT sector of the economy. While throwing the weight of the Commission behind the event, he urged the NGO to continue its positive advocacy campaign on the significant strides that have been achieved by all the players in the ICT sector. The Director-Generals of both NITDA and NIMC also commended the ICT Media Initiatives for the bold move at rewarding individuals and institutions that have impacted on the ICT for development within the Nigerian space. “Let me assure you that I am favourably disposed to your programme, and would like to see your conference succeed. It is a good idea to come up with the non-governmental agency, as it will provide a platform for you to seek information, knowledge and consensus. “I spent 15 years in policy advocacy in this country when I was in the Nigerian Economic Summit Group, so I can see the role of a very good platform where ideas can be vitalised, more so when it is taken from the slogan of the NESG which says, ‘we came to serve’, Onyemenanm said. “We will explore how we can work with you to have a proper commitment and to develop the capacity building and actualise your aims”, Jack said. Mr. Jack reeled out a number of institutional initiatives that are in the pipelines by the leadership of NITDA to further boost the on-going efforts to transform Nigeria to a digital society both in governmental inter-relationship and communal interactions. He too emphasised his commitment to avail media practitioners of both local and international support for capacity building that would positively impact the contribution of journalism to national development. During the separate visits, Mr. Ukodie had informed his hosts that the one -day event which will hold in Abuja comprise of a Conference which shall take place in the day and an Award Ceremony, in the evening. According to him, the main theme of the conference is: ICT in the Nigerian Centenary: Matching towards a Connected Nigeria. “We have also slated other sub-themes for discussion. One of the sub-themes is: Broadband, for a connected Nigeria and prosperity. The conference is intended to sustain the current growth and momentum of discourses and actions that would culminate in the cost-effective deployment of broadband. This fittingly complements the efforts of the Federal Government as exemplified by the inauguration of the National Broadband Initiative,” he said. He said that ICT Media Initiative is a synergy across three entrepreneurial media groups namely the ICT Publishers Alliance (ICTPA) – comprising leading ICT publications; Business and TechnologyNews Publishers Foundation (BTPF) – made up of foremost business and technology publishers, editors and very senior news managers across Nigeria; and Nigeria ICT Broadcast Network (NIBN).